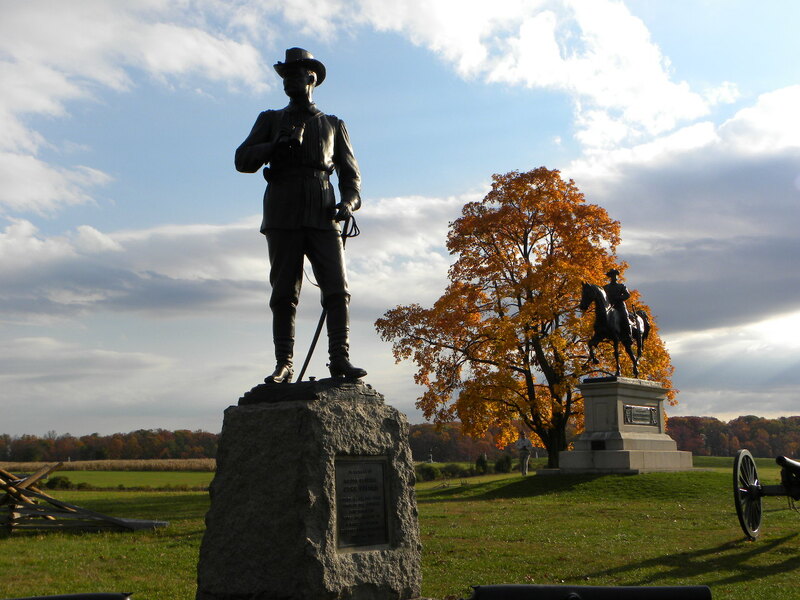 Tonight I am getting ready for bed but still preparing for tomorrow and Sunday as I lead about 30 of our officer students and their family members on what is called a “Staff Ride” of the Gettysburg Battlefield. This is the second time that I have led this trip since I have been assigned to this teaching position. Since I learned that I was going to take over the responsibility for the trip I have written produced a text of around 180 pages for my own work, a text that grows with each month. 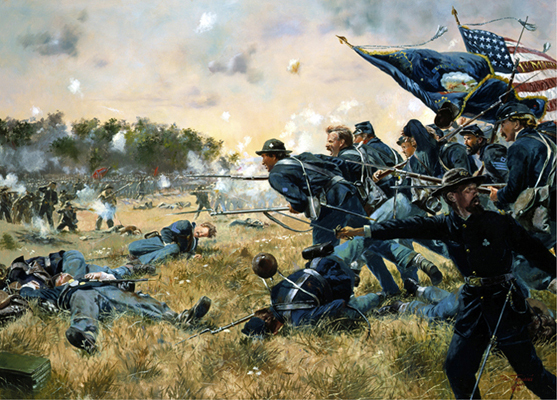 Many of the chapters of that text have been posted to the Gettysburg page on this site. We drove up today and in the van I was in we were able to talk about aspects of the campaign as well as the Civil War connected to this battle. We also discussed the timeless aspects of leadership and dealing with the complexities of people and organizations. Unlike the last trip we had good weather for the trip up, although we may be dodging rain showers and thunderstorms tomorrow. To me Gettysburg is indeed “hallowed ground.” That is why I led the article with the comments of Joshua Lawrence Chamberlain, the hero of Little Round Top. I feel that “mighty presence” that Chamberlain described every time I come here. I am drawn here by the actions of men who I never knew but through books and movies, but men who I feel a deep kinship, something spiritual, something deep, something that abides. I know that as I lead the staff ride the next two days that I will see things that I never noticed before, and those things will inspire me to study more and write more. On my last trip I was drawn to the actions of Brigadier General George Sears “Pop” Greene at Culp’s Hill and Lieutenant Colonel Freeman McGilvery directing his artillery to stop the crushing Confederate assault at the Peach Orchard, the Wheat Field and Cemetery Ridge on day two of the battle and the sound preparations and expert leadership of Brigadier General Henry Hunt of the Federal artillery on day two and three. I don’t know what will grab me tomorrow and Sunday, but I know that something will and of course you will hear about it here.